The Mercedes-Benz E-class is one of the most luxurious sedans on the market. 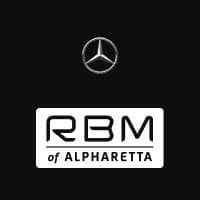 Here at RBM of Alpharetta, we are anxiously awaiting the arrival of the newly redesigned 2017 Mercedes-Benz E-class. This comfortable, spacious, and powerful sedan will be equipped with a plethora of innovative features to guarantee an enjoyable and convenient ride every time. Here are some more details on the 2017 Mercedes-Benz E-class. Under the hood of the 2017 E-Class, we anticipate a standard 2.0L turbocharged engine that can generate 241 hp and 273 Ib-ft of torque when paired with a nine-speed automatic transmission. Higher-level trims will come with a twin-turbocharged six-cylinder engine while AMG® high-performance vehicles will feature a twin-turbocharged V8 engine. A steel-spring suspension will be standard on the upcoming E-class, with options for Direct Control suspension with selective damping and the Mercedes-Benz Air Body Control air suspension. The Air Body Control air suspension will allow drivers to control the firmness of the suspension and features a self-leveling function to ensure the vehicle’s ride is comfortable even when it is packed with passengers or cargo. Inside of the 2017 E-class sedan, drivers can expect pure luxury. For the first time ever, its cabin will be furnished with touch-sensitive buttons on the steering wheel that will respond to vertical and horizontal swiping motions. Every E-class model will also come with the improved Mercedes-Benz COMAND® infotainment system that will feature higher-resolution graphics and be controlled by an innovative touchscreen that will have the ability to recognize handwriting. The 2017 E-class will be available in a variety of color combinations to meet the preferences of every driver. Drivers will now be able to select from multiple shades of brown and 64 colors of ambient LED interior mood lighting. In addition, impressive features such as the 23-speaker, 1,450 watt Burmester® 3D surround sound system, a heated steering wheel, heated door armrests, and front seats that heat up quickly will also be options. Are you intrigued by the 2017 Mercedes-Benz E-class? If so, visit RBM of Alpharetta to find out more about this impressive, revolutionary sedan.